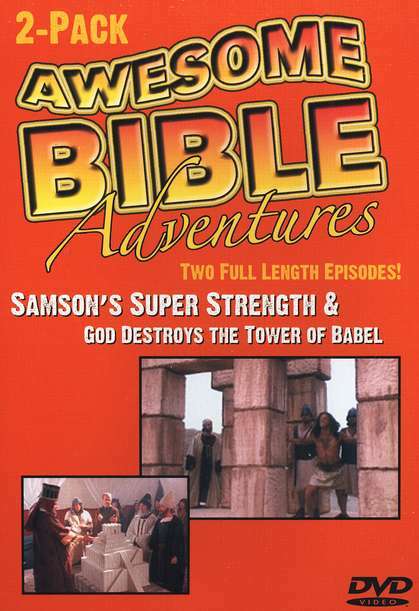 Awesome Bible Adventures are exciting Bible stories of faith, action, and redemption told in a style that makes them perfect for kids of all ages! Each story features a broadcast quality production and an important lesson that will show viewers how to apply Biblical wisdom and teachings to their own lives. This DVD includes two full length episodes. In Samson's Super Strength children will learn that our strength comes from God. God Destroys the Tower of Babel teaches children the importance of listening for and to God.